On Saturday, October 20, almost 540 attendees gathered at the Carthage Civic Center to play bingo for a chance to win designer purses and other prizes, all for a great cause. Designer Purse Bingo raised more than $47,000 to support Panola College students through scholarships, program grants and other college projects. This was the 5th Designer Purse Bingo fundraising event, hosted by the Panola College Foundation. It is through the help of this event that Panola College and the Panola College Foundation were able to award over $120,000 in scholarships for the 2018-2019 academic year. In the past twelve years, the Panola College Foundation, a 501c3 nonprofit, has awarded almost 1000 scholarships worth over three quarters of a million dollars. 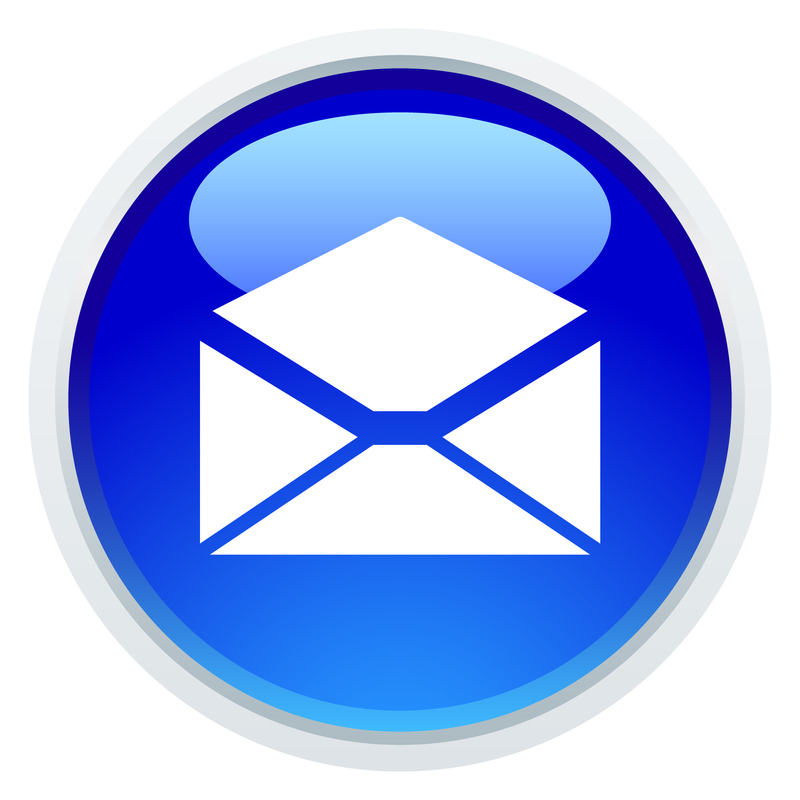 They have also awarded 80 faculty and staff grants valued at over $230,000 in the past eight years. Gloria Arellano of Carthage, TX, is a Panola College student who directly benefited from the funds raised from Designer Purse Bingo. Gloria has lived in Carthage since the age of 6 and is currently attending Panola College to become an Occupational Therapy Assistant. She said she chose to attend Panola College for the outstanding OTA program with excellent teachers, but also because the location was close to her home making it convenient and cost-effective as well. The event began with Don Clinton, Vice President of Student Services at Panola College, entertaining the audience as the emcee for the occasion thanking our sponsors and calling out the anticipated bingo numbers all evening. Guests also enjoyed a photo booth which printed souvenir photos of their evening, sponsored by First State Bank and Trust Company of Carthage. Guests also enjoyed beautiful potted centerpieces sponsored by Fidelity Communications, which were later sold as part of the fundraiser. Pippen Motor Company and Rural Water Service sponsored koozies for the evening, and Kelly’s Auto Collision sponsored souvenir glasses for the guests. For this first time, a signature drink was available for purchase brought to guests by sponsor, Simply Beautiful Salon with Rachel Davis. Game sponsors included Carthage Economic Development, Carthage Furniture, Farmers State Bank, Golden Eye Associates, Hayli Cagle with Keller Williams, Kimberly’s Kreations, LimeLife by Alcone with Brandie Best, Panola National Bank, Rancho Grande, Sanford & Sons, Inc., Texas Home Health, and Youngblood Oil & Products. Double Dazzle sponsors included Car-Tex Transport and Vacuum, Edward Jones with Vicky Hudson in Center, TX, and the Winkler Place. Dazzle sponsors were Angela LaGrone, Chastiti Horne, Citizens Bank, Genpak, L&K Express Wash, Sharon Ivey, and Shelby Savings Bank. 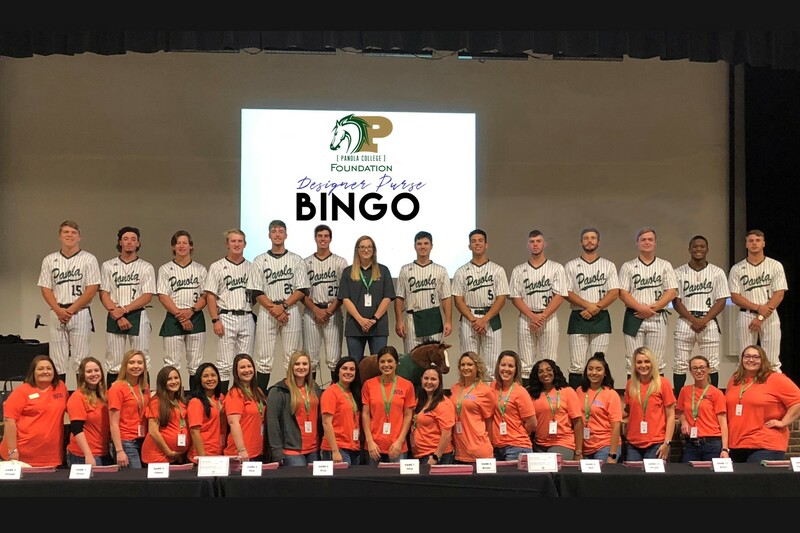 Bingo game purses included 24 different purses including brands such as Michael Kors, Kate Spade, Consuela, and Coach, which were modelled most professionally by volunteers from the Panola College baseball team. A popular bling ring raffle, sponsored by Luminant, consisted of prizes of donations from Sunflower Mercantile, Chicken Row Market, Kendra Scott, and the Panola College Foundation. This event would not be possible without all the amazing volunteers. Panola College Occupational Therapy Assistant students and instructors, and the Panola College Green Jackets were instrumental in keeping the event running smoothly. Additional support for Designer Purse Bingo came from Arnold Graphic Design, Brookshire Brothers, Chicken Express, Dazzle’s Collectibles, H.E.B., Kountry Fresh Pizza, Panola College faculty and staff, Photography by Teresa Cage Beasley, R&K Distributors, Republic National, and Whataburger. Another student who received a scholarship funded through Designer Purse Bingo was Andres Leon of Tenaha, TX. Andres is a member of the Panola College band where he plays the euphonium/baritone. He is also involved in the Student Government Association, Caddo Club, History Club, and the collegiate FFA chapter. He hopes to become a lawyer and focus on pro bono work after college. Pace recommends marking your calendars for our 6th Designer Purse Bingo for Friday, March 22, 2019 and watch for ticket sales to open on January 15th.